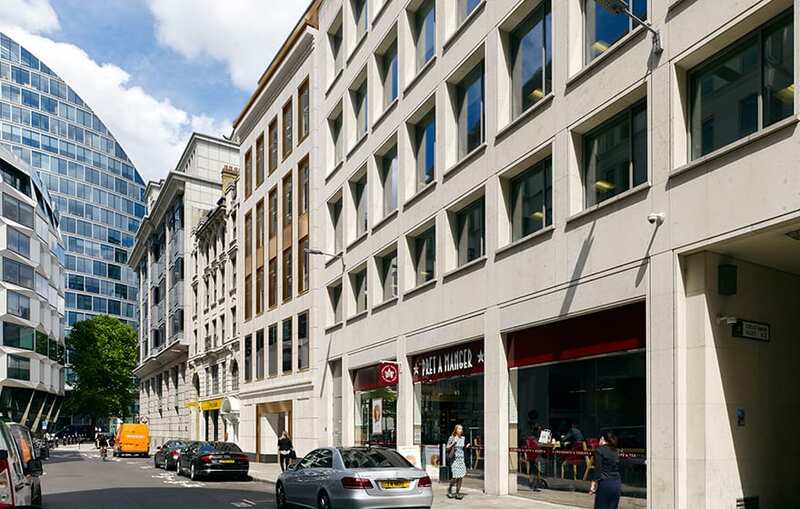 A design team, led by John Robertson Architects, has been appointed to redevelop an existing office building in the City of London, to provide 40,000 sq ft of offices over eight levels and 3,000 sq ft of retail use at ground level. The team proposed to retain and extend the existing structural frame and upgrade internal and external fabric and services to meet standards set out in the British Council for Offices’ (BCO) Guide to Specification 2014, BREEAM Excellent and WELL building standards. Ambitions for BIM were set out in the developer’s BIM Execution Plan and agreed at contract stage with the consultants, which were tasked with creating 3D BIM models in ArchiCAD and Revit from 2D record drawings and 3D point cloud survey data provided by the client. JRA took initial responsibility for creating the federated BIM model and used Solibri Model Viewer to detect clashes between “idealised” structure and “surveyed” fabric, highlighting where further survey information was required. Early instruction of the soft-strip demolition works enabled the structural frame to be exposed and the “idealised” BIM model to be verified. Once this exercise was complete, a specialist MEP team was appointed to complete detailed services design within the verified 3D BIM environment. Once on board, the client’s facilities management team were able to confirm the level of information they wanted embedded in the BIM model, including specification codes, structural properties, fire ratings and a unique component ID.